The Myers-Briggs Type Indicator Test has been widely used for decades. Many people have taken the test and benefited from receiving the the 4 letter that designate personality type. However, most people don’t realize that this is only scratching the surface. The 4 letter personality type (e.g., ENTJ) is only Step I in using the test. It’s a starting place, but it is dwarfed by the Step II Interpretive Report that includes Step I but goes beyond it. Each of the four personality style preferences are broken down into facets (subscales) that show the ways you fit into your personality type and the specific ways that you don’t. Furthermore, this in-depth report offers numerous practical tips for you to apply your results to your communication, decision-making, and managing change, and more. Your personality type will not only be identified, but the practical implications will be explained. Each of the four type indicators will be broken out into detailed facets or subtypes. This is invaluable in helping you see why you may see yourself as having traits of more than one personality type. It also helps you appreciate the uniqueness of your personality style. Your report will highlight the communication challenges that people like you typically experience and tips for how to improve communication. Your report will highlight the decision-making challenges that people like you typically experience and tips for how to improve your own decision making. Your report will show the common challenges that people like you typically experience when managing conflict at work and in relationships and tips for how to manage conflict more effectively. Watch Dr. Hamlin’s video where he explains the value of testing. 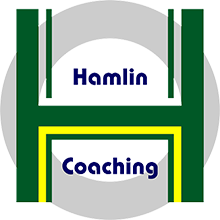 Sign up to get a PDF explaining Dr. Hamlin’s testing package.